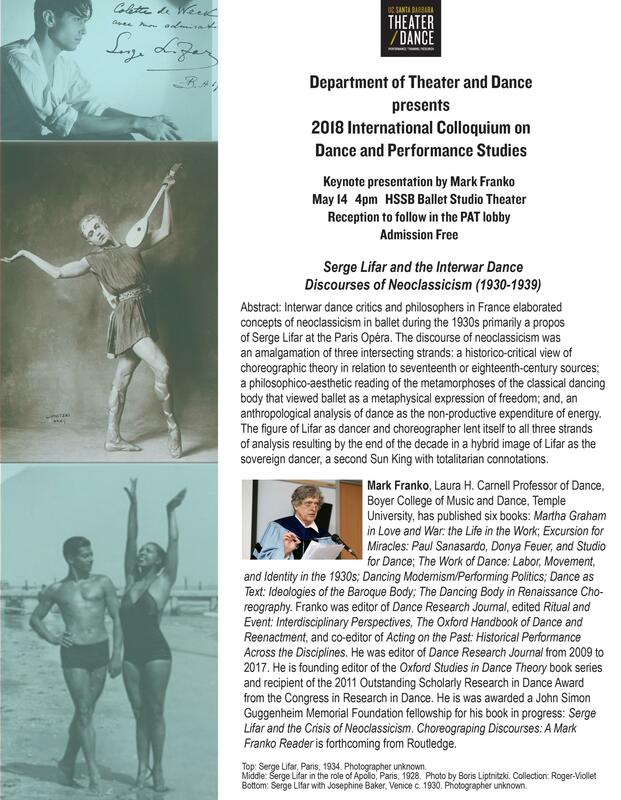 Abstract: Interwar dance critics and philosophers in France elaborated concepts of neoclassicism in ballet during the 1930s primarily a propos of Serge Lifar at the Paris Opéra. The discourse of neoclassicism was an amalgamation of three intersecting strands: a historico-critical view of choreographic theory in relation to seventeenth or eighteenth-century sources; a philosophico-aesthetic reading of the metamorphoses of the classical dancing body that viewed ballet as a metaphysical expression of freedom; and, an anthropological analysis of dance as the non-productive expenditure of energy. The fgure of Lifar as dancer and choreographer lent itself to all three strands of analysis resulting by the end of the decade in a hybrid image of Lifar as the sovereign dancer, a second Sun King with totalitarian connotations. Mark Franko, Laura H. Carnell Professor of Dance, Boyer College of Music and Dance, Temple University, has published six books: Martha Graham in Love and War: the Life in the Work; Excursion for Miracles: Paul Sanasardo, Donya Feuer, and Studio for Dance; The Work of Dance: Labor, Movement, and Identity in the 1930s; Dancing Modernism/Performing Politics; Dance as Text: Ideologies of the Baroque Body; The Dancing Body in Renaissance Choreograpy. Franko was editor of Dance Research Journal, edited Ritual and Event: Interdisciplinary Perspectives, The Oxford Handbook of Dance and Reenactment, and co-editor of Acting on the Past: Historical Performance Across the Disciplines. He was editor of Dance Research Journal from 2009 to 2017. 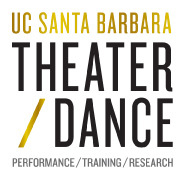 He is founding editor of the Oxford Studies in Dance Theory book series and recipient of the 2011 Outstanding Scholarly Research in Dance Award from the Congress in Research in Dance. He is was awarded a John Simon Guggenheim Memorial Foundation fellowship for his book in progress: Serge Lifar and the Crisis of Neoclassicism. Choreograping Discourses: A Mark Franko Reader is forthcoming from Routledge.